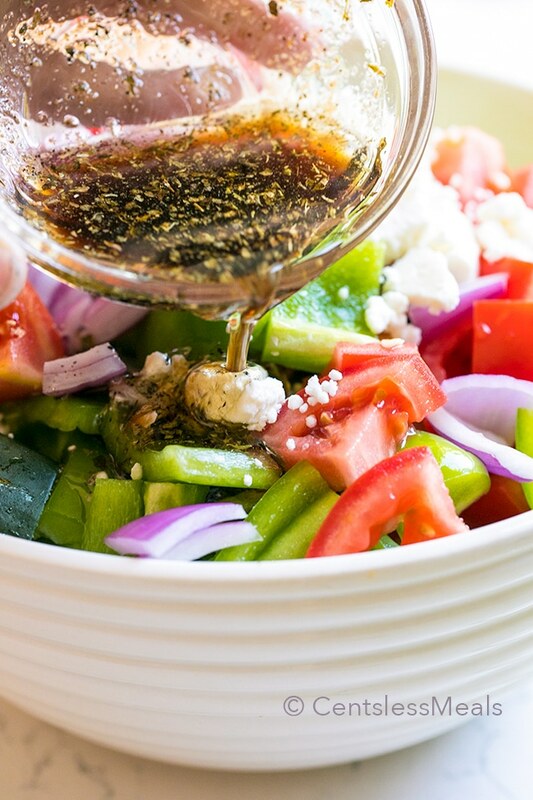 An easy Greek Salad loaded with ripe juicy tomatoes, crisp cucumbers and creamy feta cheese all tossed in a simple homemade dressing. 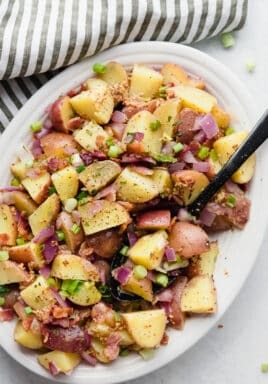 This is the perfect dish to serve alongside a tender rotisserie chicken sub from our partners at Subway for the perfect summer meal. Cooking is one of my passions. 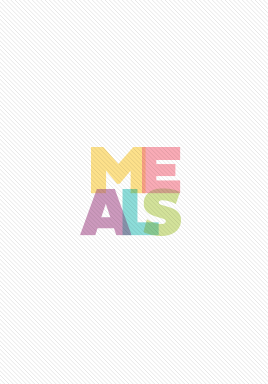 There is nothing like preparing a meal and sharing it with someone. I take a lot of pride in using quality ingredients to nourish both the body and soul. But, as much as I love to cook, I also love to eat! Whenever someone else takes over the reigns and prepares something delicious for me, I am moved… to lick my fingers! Life is busy, and sometimes I am more than happy to hand over the reigns to Subway. Maybe a little more often these days because let’s face it, the sun is shining and I’d rather be outside than standing over the stove. My newest obsession is the Subway Rotisserie-Style Chicken Sandwich! It is made with tender, hand-pulled all white meat chicken, raised without antibiotics, is nothing short of perfect for lunch or dinner! 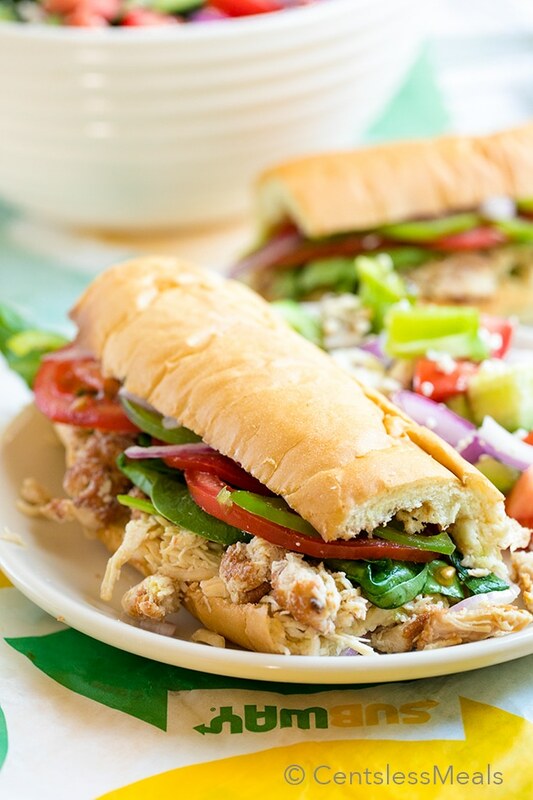 The Rotisserie-Style Chicken Sandwich gets even better because you can pile it high with veggies! No matter what you are in the mood for to compliment the fresh flavor of the Rotisserie-Style Chicken Sandwich, they’ve got you covered on your crispy vegetables! I love fresh spinach, onions, tomatoes and green peppers (and sometimes add pickles for a salty crunch). On a super busy night, I like to grab this yummy sub and pair it with an Easy Greek salad for a filling and satisfying meal. I grow fresh tomatoes so Greek Salad is pretty much a staple around here. 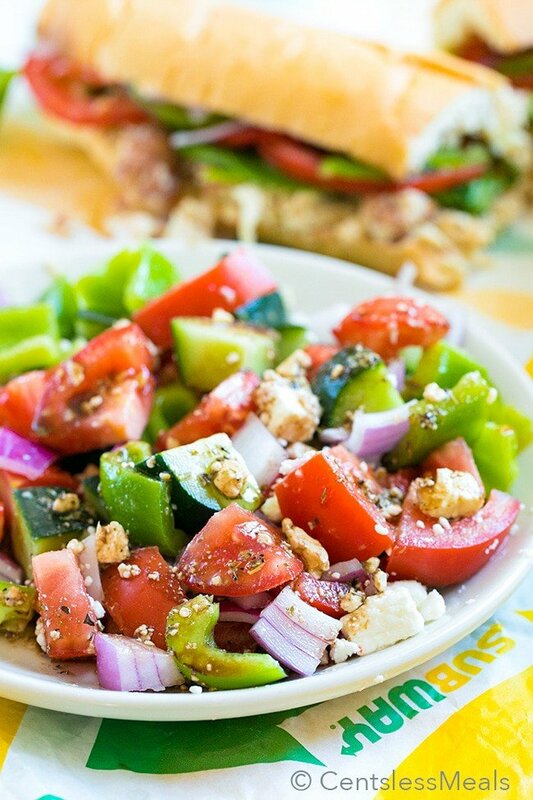 Ripe juicy tomatoes, crisp cucumbers, creamy feta all tossed in a deliciously simple homemade dressing. Many people serve a Greek salad with lettuce however I prefer to just have the fresh veggies, cheese and olives in dressing. Everyone in my family always loves this meal and truly it’s so simple we make it all year long. Greek salad pairs perfectly with any meal including rotisserie-style chicken subs and makes a perfect side to pack along on a picnic. If you want to build it better the next time you are craving a sub, you won’t want to miss this delicious video by Food Network’s Jeff Mauro. After viewing you are certainly going to want to fill your picnic basket with delicious sandwiches! 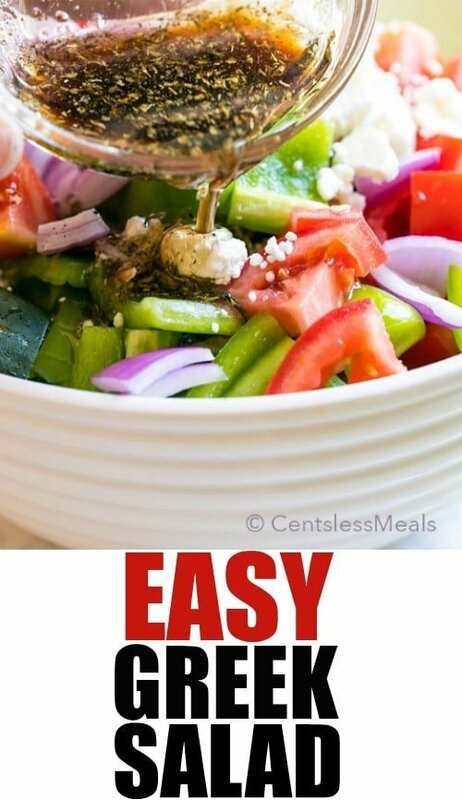 An easy Greek Salad loaded with ripe juicy tomatoes, crisp cucumbers and creamy feta cheese all tossed in a simple homemade dressing. Combine all dressing ingredients in a small bowl. Mix well. 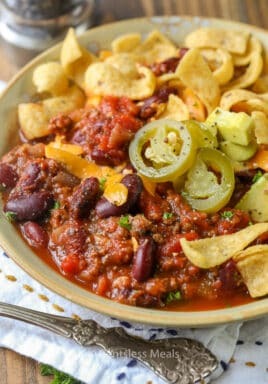 Add remaining ingredients in a large bowl. Drizzle with dressing, toss well and serve. I just made this salad and it was great!. My husband and I loved it. I’m so glad you both loved this salad!